IT'S SO DRY RIGHT NOW! ~Place IMM powder into your cup & fill with hot water about 2/3 of the way. I also add a pinch of cardamom powder in to taste. Let sit for a few minutes, then stir well. 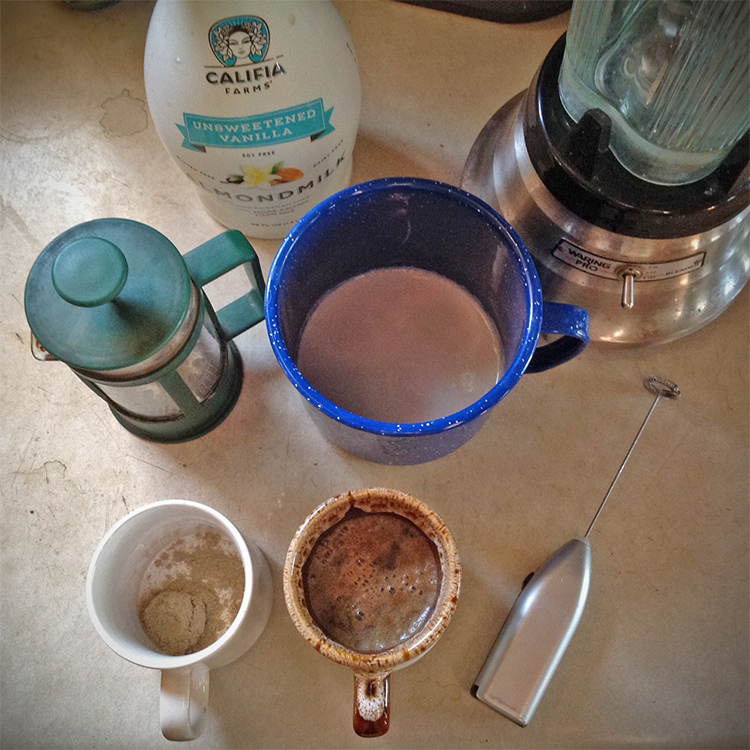 I love using a small cordless milk frother (seen in picture to right) to mix powders in water… very handy! ~Warm Milk on stove for a minute or two. Don’t let it boil. Next froth your milk. I use my cordless milk frother, but I have also used a french press or a good old fashioned blender. ~Once frothed, add to fill up the final 1/3 of your cup. ~Lastly sprinkle a little bit more cardamom on top. Bonus: Any Yerba Mate Drinkers out there? I started drinking a cup of Yerba Mate in the mornings in place of coffee about a year ago. It agrees better with my belly. But, it is kind of drying which can also be aggravating, especially in the desert. My new trick is to brew a stronger 1/2 cup of Mate Tea & then add Inner Moisture Mix dissolved in Almond Milk the rest of the way. It is the perfect complement to smooth out that Mate & very Tasty!